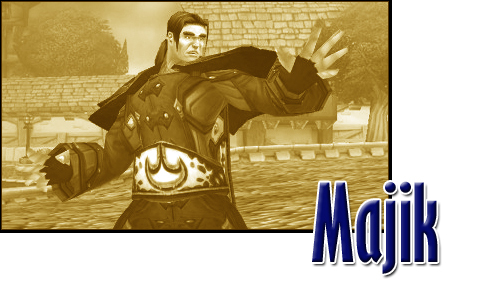 Majik is a long-time player in the World of Warcraft and currently is the caster DPS officer of Apotheosis, an Alliance raiding guild on the Eldre’Thalas (US) server. He currently plays a mage, which has been his primary raiding toon throughout his WoW career. Majik enjoys PVP healing on his priest as disc, pulling prematurely with Hot Streak procs and annoying the crap out of Kurn.